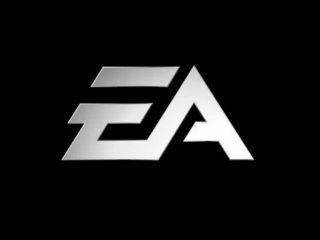 Electronic Arts has acquired mobile phone gaming publisher Chillingo for a reported $20 million (£12.6 million) in cash. Most mobile gaming fans will know Chillingo from its recent smash hit Angry Birds – recently made freely available for Android phones in addition to the hugely successful version on Apple's iPhone. An EA spokesperson told Reuters: "By acquiring Chillingo, EA Mobile is increasing its market leadership on the Apple Platform as well as reaffirming its position as the world's leading wireless entertainment publisher." EA Mobile acquired Facebook game developer Playfish in 2009 for a cool $400 (£254 million). Angry Birds has been a chart-topping mobile game since it launched on iPhone earlier this year and on Android back in September. Chillingo's most recent smash-hit on iPhone – Cut the Rope – has already sold over a million copies in just under two weeks on sale via the iTunes App Store. Chillingo does not own the rights to either of these titles, with developer Rovio owning the lucrative rights to Angry Birds, and ZeptoLab being the developer behind Cut the Rope. We should hear more about EA Mobile's plans for Chillingo in the near future, so stay tuned for updates on that front. As for Angry Birds, Rovio is expected to make an announcement regarding a special Halloween edition of its game in the coming days.